Growing up in Valenwood at the turn of the Fourth Era, Fin was intimately familiar with the Aldmeri Dominion's relentless oppression of his land and its people. He lost his parents to the Thalmor "cleansing" effort, and was raised by his maternal aunt in one of the few remaining hold-outs against High Elf rule, an area of jungle that had seemed all but impenetrable. 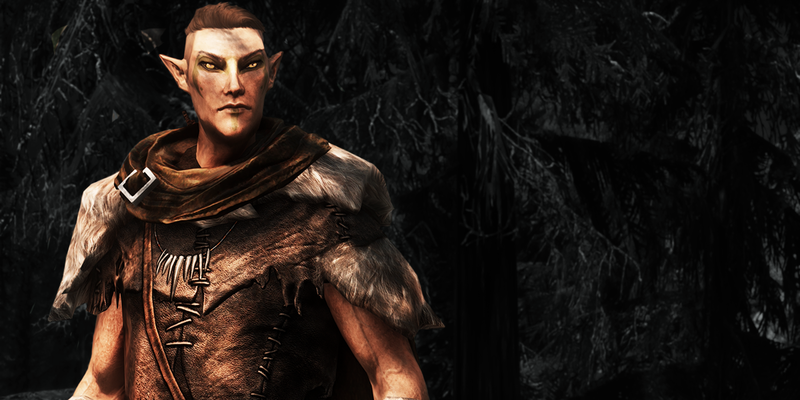 In reality, the Dominion had already begun to work with conscripted Bosmer scouts to clear the forest's interior - Finvas' home fell, as did many others. During his captivity, Finvas claimed to have been visited by the forest goddess Y'ffre, masked with the skull and antlers of a huge stag. Y'ffre's blessing apparently allowed Finvas to transform at the next full moon, slaughtering the Dominion troops and laying waste to their camp, before disappearing into the forest. 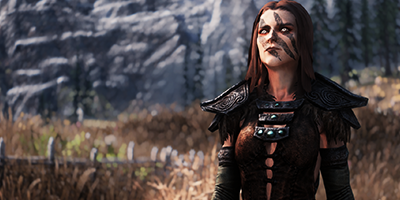 What followed was a multi-year campaign of intimidation against Thalmor agents in Valenwood, with Finvas leading interchangeable groups of Bosmer in disrupting supply lines, terrorizing settlements and abducting scouts. Finvas may very well have continued to oppose the Dominion war effort indefinitely were he not sold out by his own people, many of whom were tired of wearing the reprisals for Fin's actions. Narrowly escaping capture by Thalmor-contracted monster-hunters, Finvas fled north, chasing Thalmor activity through Cyrodiil and into the nord province of Skyrim. He briefly fell into the Legion's clutches after he was arrested alongside Stormcloak rebels in Darkwater Crossing, but escaped Helgen before the Thalmor realized his identity. As the dovahkiin, Fin represents perhaps the single greatest threat to Thalmor occupation in Skyrim. But whilst the Stormcloaks awkwardly attempt to court this strange outsider's favour, Finvas' newfound fame has left the Thalmor's hands tied. For now, they merely tolerate his presence. Every cloud has a silver lining, however. Finvas is clever enough to have evaded Thalmor agents for decades, but a lifetime spent away from civilization has left him ill-suited to even nordic society - and that's without the influence of Y'ffre's "blessing". His time in Skyrim has provided limited allies in the form of the Companions - a close-knit mercenary guild operating out of Whiterun - and some of the more separatist jarls, but Fin has never been beholden to anybody, least of all the people he's trying to help. 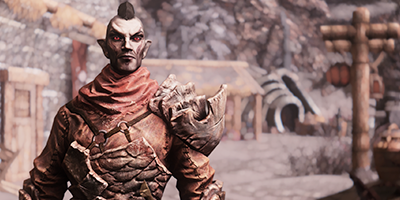 After dealing with Fin for so many years, the Thalmor know that it's only a matter of time before his new friends get tired of the chaos he brings into their lives. When that happens, the chase will begin all over again. Teldryn made the choice to accompany Fin from his native Solstheim. He claims that it was because of the robust weather and delicious food. Sharing Fin's bed is just a bonus. Fin calls Aela his cyrmath, "the place my heart calls home". Their relationship is hard to quantify, but the bond they share exists somewhere between "soulmate" and "twin sibling". 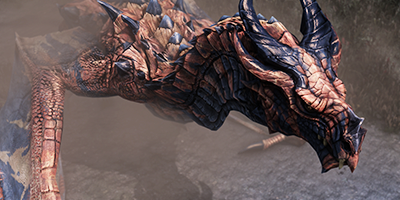 One of Alduin's former allies, who offered to assist Finvas in return for his freedom. Though he technically exists under Fin's command, it remains to be seen who is really in charge.